Spring Tour with PK Tessmann (east-central Canada) starts a week Thursday! Here’s our itinerary; check out my tour page for details! 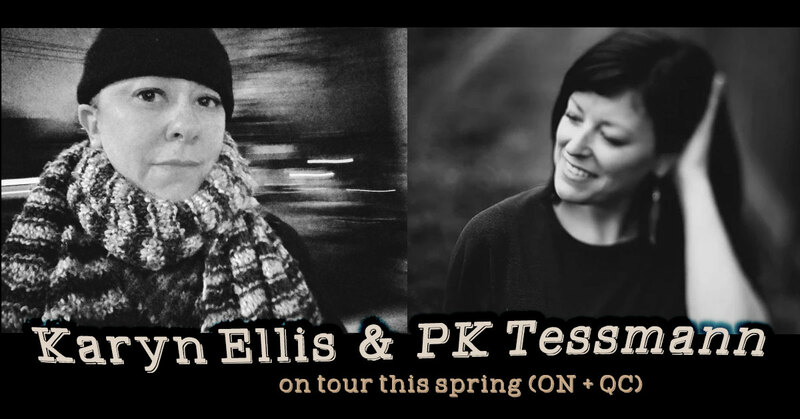 OWEN SOUND (Mar 29), PETERBOROUGH (Mar 31), MONTREAL (Apr 1), OTTAWA (Apr 2), TORONTO (Apr 4) and LONDON (Apr 5). Micropop Week 2018 in Düsseldorf! 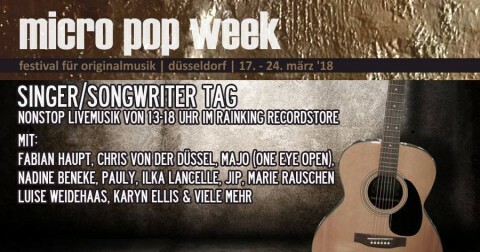 Today is the start of Micropop Week in Düsseldorf Germany! A week full of concerts celebrating indie DIY music makers, music presenters and music businesses. I am playing three times this week, (twice today)! 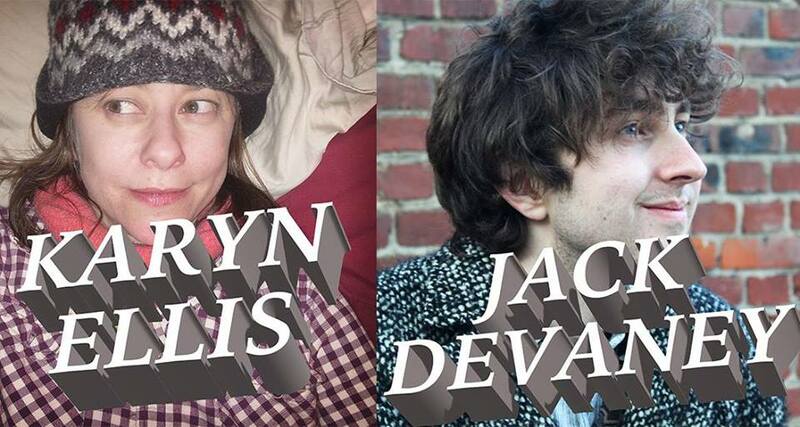 An afternoon program celebrating singer-songwriters – I’m playing a short set at 15:00.
to play a show with Jack Devaney. Doors 20:00 / show 20:30. Sascha Düx is going to join me for this set! Yay! I will be joined again by Jack Devaney, this time Naima will be performing too! And if THAT’S not enough for you, check out the full Micropop schedule! Tons of great artists in chic venues, all happening this week….. In a little town in Wells, BC, Karyn and PK met at a songwriting workshop. In no time at all, they were singing and performing together in the town’s festival, Artswells. Wanting to continue the adventures, they decided they would someday tour together. 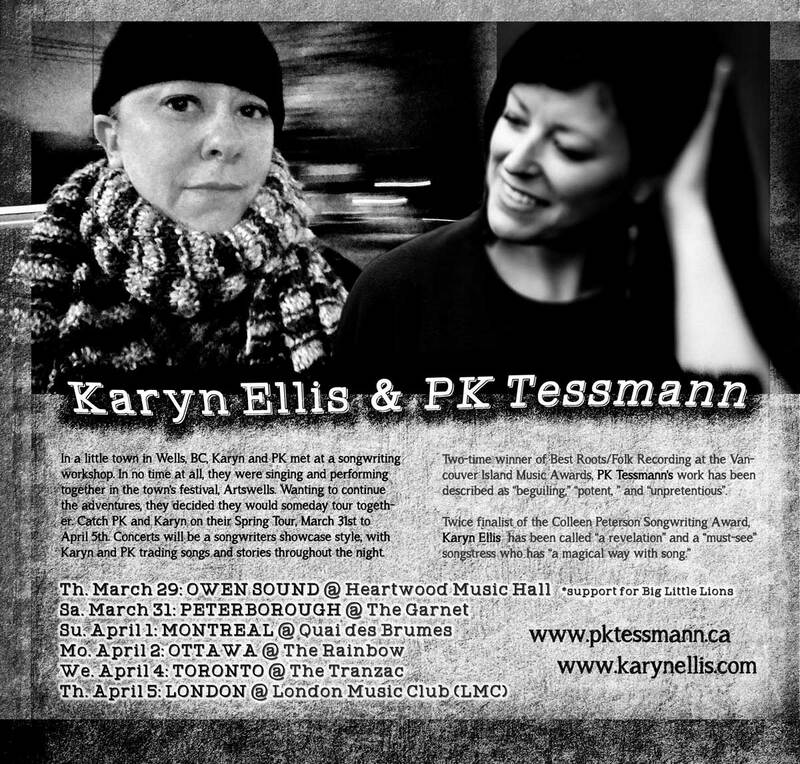 Catch PK and Karyn on their Spring Tour, March 31st to April 5th. Concerts will be a songwriters showcase style, with Karyn and PK trading songs and stories throughout the night. PK Tessmann is a fixture in the Vancouver Island indie-folk community. With over 20 years of songwriting and performance behind her, Tessmann is celebrating the release of her third album Dear City (Fall 2016). Two-time winner of Best Roots/Folk Recording at the Vancouver Island Music Awards, PK’s work has been described as “beguiling,” “potent, ” and “unpretentious”. 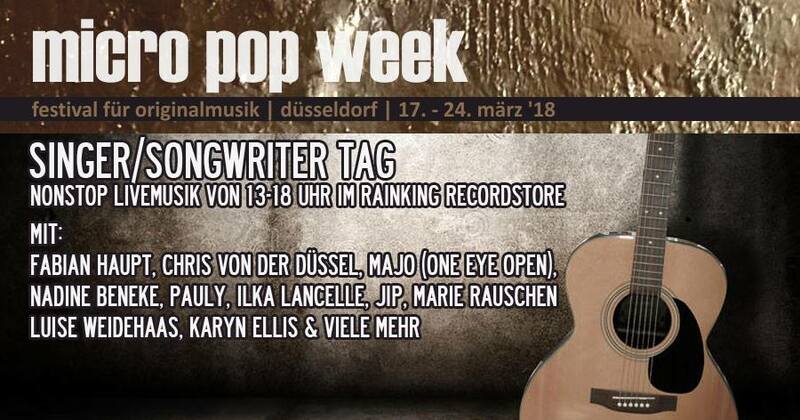 Karyn is back at this year’s Micro Pop Festival in Düsseldorf, Germany on Wednesday March 21st. Visit Micro Pop’s website for information about the festival as well as get the full itinerary.